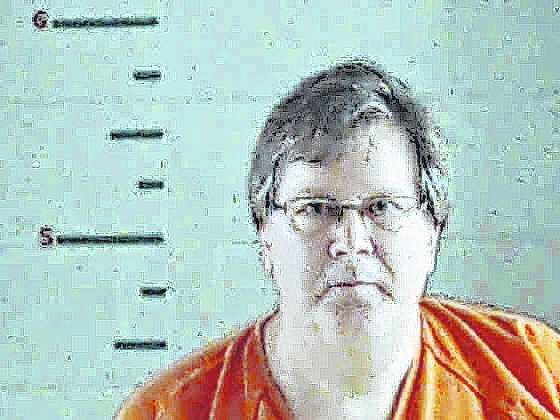 GALLIPOLIS — A man who has been described as a “con artist” was sentenced to three years in a state facility in late March in the Gallia Court of Common Pleas after he pleaded guilty to the second-degree felony of engaging in a pattern of corrupt activity and passing bad checks. John Steven Osman, 54, of Gallipolis, pleaded guilty to one count of engaging in a pattern of corrupt activity and three other charges for passing bad checks, which consisted of one fourth-degree felony and two fifth-degree felonies. Holdren said his office had reports of activity that Osman reportedly was involved with from Maricopa County, Arizona as well as other counties in Ohio. In December 2016 to October 2017, Gallia businesses had been receiving bad checks from several different banks, according to the prosecutor. According to Gallia Assistant Prosecutor Jeremy Fisher, if caught with a bad check, Osman would at times reportedly write another bad check to cover it. Fisher and Holdren both said Osman did have an income of some kind as he was able to pay off some of the bad checks. Reportedly, Osman and his fiancee came to Gallia from Kentucky and had bought two new BMW vehicles after Osman had written two $20,000 checks to a dealership in Boyd County that had been previously raided by US Marshals. Osman, according to the prosecutor, asked a jeweler to customize some rings for him and he handed them a $26,000 check and an $850 check and asked them to hold them until the ring customizations were completed. The business was unable to cash a check after trying. The business also searched for Osman’s name online and found reported issues in Arizona. Osman also reportedly wrote three checks to a business dealing in potted plants which were faulty in the same transaction. “That just shows you, he has no problem writing a $20,000 check to get a car or a $20 check to get a pot of flowers,” said Holdren. Fisher said he felt it was possible Osman had cost businesses potentially hundreds of thousands of dollars between other states. Holdren encouraged law enforcement that may have pending cases to move forward and charge Osman.